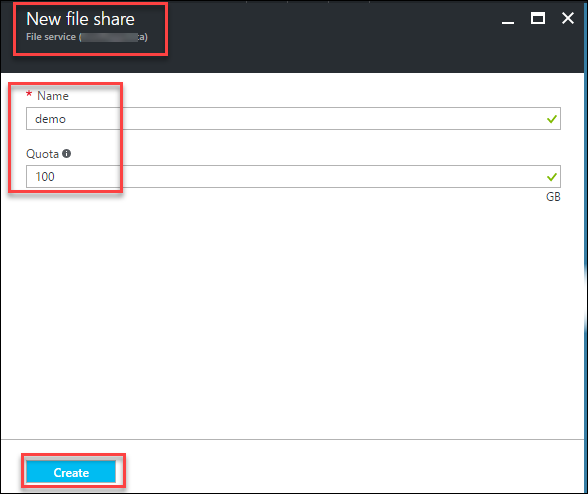 It is very simple from within an Azure VM, to access an Azure File Storage Service by means of a mapped network drive to the FileShare using SMB 3.0 protocol. Problems may occur from within a local client machine in connecting to the Azure domain – more to follow on that scenario. Command line code is provided in the Connect blade, to connect to the specific file storage service. 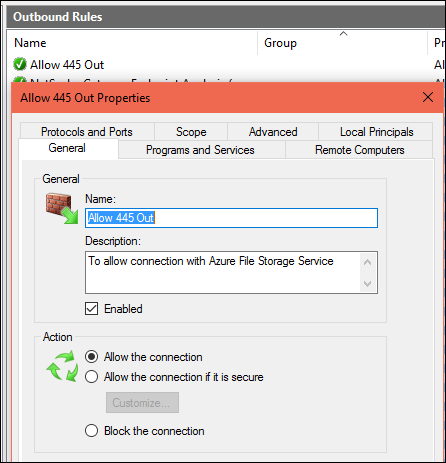 Note the comment that outbound TCP port 445 must be opened on the local network or within an Azure VM. This is done from Windows Firewall Advanced Settings on servers or from within an installed specific 3rd Party software on client machines. Copy and paste the path provided in the Azure Connect blade into a text editor such as Notepad, and add the desired drive letter (or use * for next drive letter available) and access key (deleting the [ ] brackets). Copy and paste the UNC address and the access keys for this storage account into Notepad. 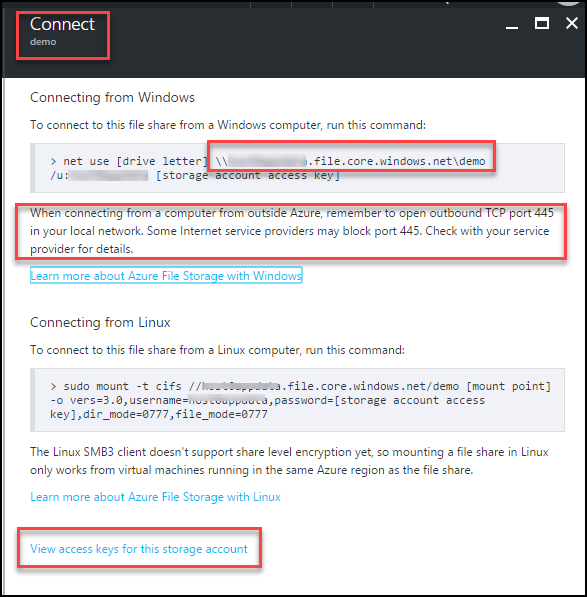 On Azure VM, or local client machine – Use the UNC address provided which is the Azure Storage Account name wthin the Azure domain and the specific File Service container. As mentioned, this works very quickly from within an Azure VM, or from a client machine where the ISP provider has not blocked Port 445 (and the Operating System supports SMB 3.0. 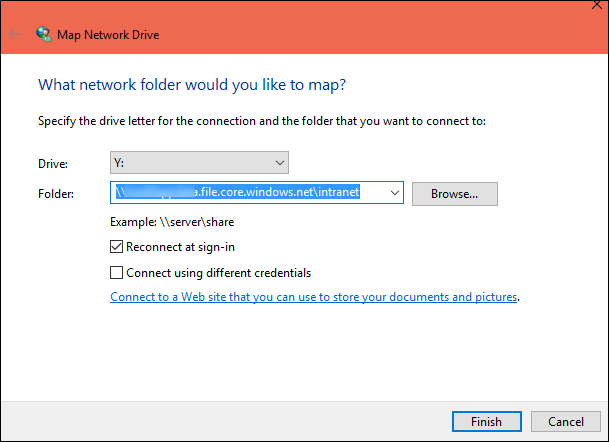 For steps for determining why the mapped network drive has not connected, read our troubleshooting process for Error 80070043 – Network name cannot be found.